Complete Satellite TV Installation Here and Congratulate Yourself! Here are the last steps of the Satellite TV Installation process you have carried on through 14 pages on the tvcinemaapp.com, all of which you have done through the Menu Operation. Satellite TV Installation: The Utility in the Main Menu Operation. This has nothing to do with the utilities of your dish network satellite receiver explained on one of the given pages. It is additional utility you may have in your system, when you complete the satellite TV installaton. The utility function here depends on your dish network satellite model. 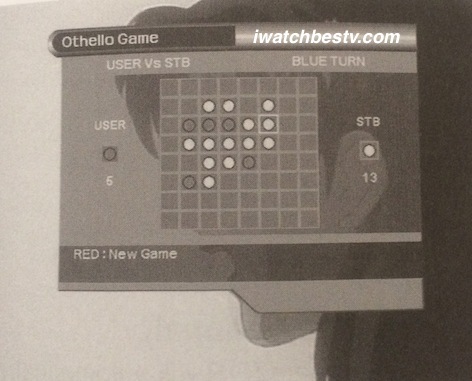 The Common Interface STB supports additional functions, such as the Bio Rhythm, Calendar and Games, such as Othello Game and Snake Game. TV Satellite Installation: The Bio Rhythm in the Utility in the Main Menu Operation. Select the LEFT / RIGHT and the UP / DOWN buttons to adjust your birthday date. Use this to see your current Bio Rhythm status. To see it, press OK. 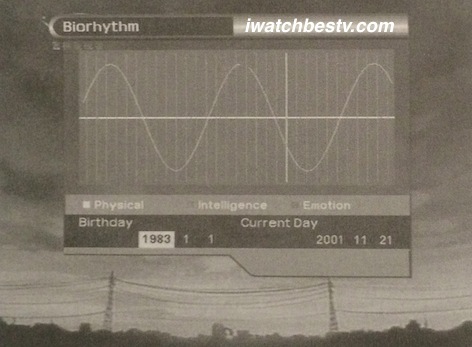 The Bio Rhythm screen will appear to show your monthly Bio Rhythm. The white column in the screen shows the position of today. 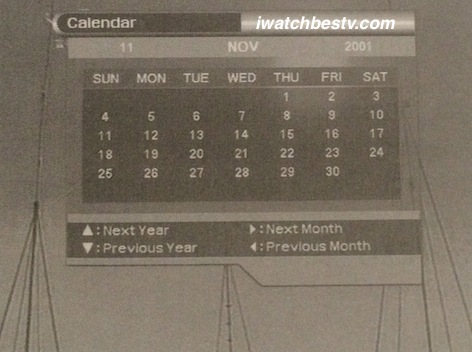 TV Satellite Installation: The Calendar in the Utility in the Main Menu Operation. The calendar shows the Next Year, Previous Year, Next Month and Previous Month. It is just another digitalized function in your system and it works as in other devices you use such as smartphones, tablets and computers. 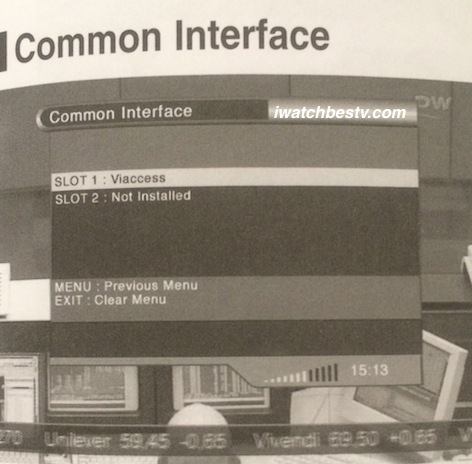 TV Satellite Installation: The Common Interface in the Main Menu Operation. 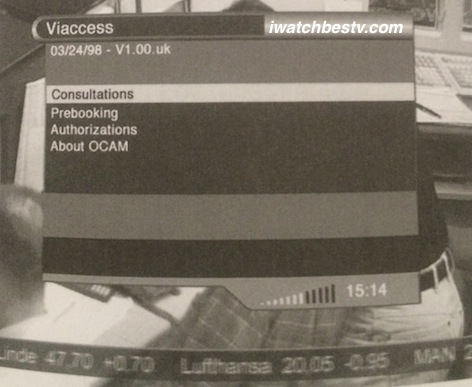 The receiver might have two PCM CIA slots to facilitate the use of two CI CAMs such as Viaccess, or Irdeto, etc... Whenever a Common Interface CAM is inserted inside the PCM CIA slots, the system will automatically detect the type of the CAM and display it in the main menu. When you choose the Menu, you will see and be able to access the submenu Viaccess, which is composed of Authorization, Prebooking, Authorizations and About OCAM, which are the components of the package details. TV Satellite Installation: The Viaccess Submenu in the Main Menu Operation. High quality satellite dish receivers come with enhanced common interface CAMs with the DVB specification. The enhanced CI CAMs are built-in Smartcard reader. Depending on your model, press the cover backward with your thumb to open the cover at the right side of the satellite receiver box, where you read the trade mark of the receiver, Common Interface and DVB. Insert the Smartcard into the CAM box gently with the golden colored chip upward. Slide in the CAM gently inside the slot for it to site in the socket tightly and close the cover. Use the Common Interface to access it. TV Satellite Installation: The Othello Game in the Utility in the Main Menu Operation. Satellite TV Installation Including Gaming Zone! The satellite gaming zones depend on the model of the satellite receiver. 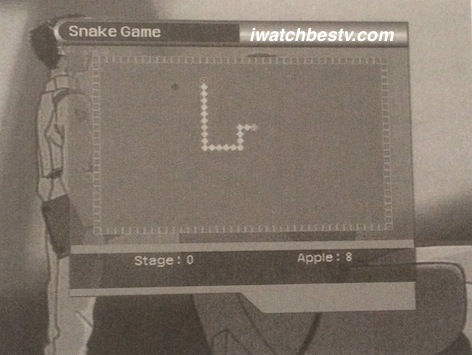 If your satellite receiver has it, you will see two games, Othello Game and Snake Game. I don't know of other satellite games. Do you? If so, please write about satellite games in the form below. See the two games on the images on this section. 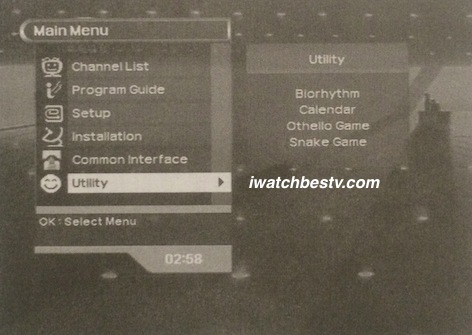 TV Satellite Installation: The Snake Game in the Utility in the Main Menu Operation. Although you use hardware, you can view this port after completing the satellite TV installation in the last section of the Menu Operation. 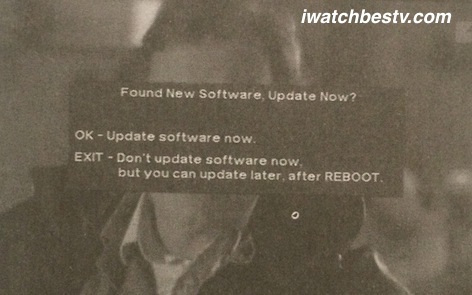 This function for the software update via air is included in the optional software menu I never needed it. When you get to a specific channel with Over the Air (OTA) stream, the STB will automatically detect it and the system will ask you to upgrade S/W. 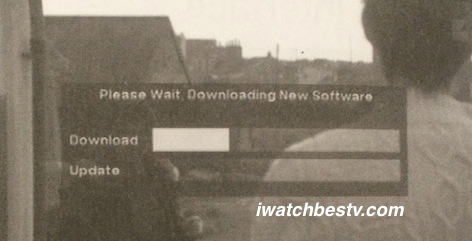 TV Satellite Installation: Software Download. The STB will start downloading and upgrading the S/W, when you select OK. You may select EXIT to upgrade later at the same channel, the system upgrade prompt will start after a specific period. When you select EXIT to exit the menu, you will need to reboot to select OK for prompt upgrade. 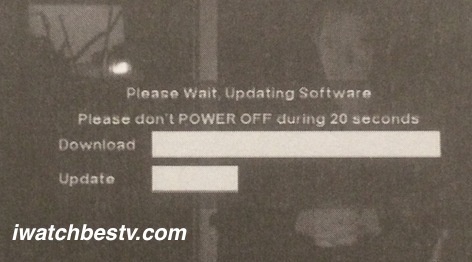 TV Satellite Installation: Finding Software Update. Keep in mind that during any download, you should not turn the receiver off, or use the remote control, or disconnect the antenna. TV Satellite Installation: Updating and Upgrading Software. Satellite TV Installation Problems and Solutions! Problems may happen after, or while installing your satellite TV. So, what to do? What to do, if you didn't see any displaying message? Make sure that the main power cord is plugged into the suitable power outlet. Check to see wether the STB is in Standby position, or not. What to do if you didn't see any picture? Check the STB to ensure that it is ON. Make sure that the video and the RF OUT ports are connected firmly to the TV, or VCR. Ensure that you have selected the right channel, or the Video Input on your TV. Check the brightness level of the dish. What to do, if the quality of the picture is bad? Do the steps you read above. Check the signal level to see whether it is low, or not. Adjust the alignment of your dish, although you have done this during the satellite TV installation. What to do, if the sound is mute? Again do the steps above. Check the volume level of the STB and the TV. View the Mute status of the STB and the TV. What to do, if the Remote Control is not working? Point the Remote Control directly towards the STB. Ensure that there is a signal shift on the Red and Green power points on the TV. Replace the remote control batteries by new batteries. What to do, if you read on-screen error message indicating that there is no signal, or bad signal? Check the LNB to see whether it is working, or not and then adjust it, or replace it. Check the position of the dish to position it on the right alignment. In case that you are using the DiSEqC 1.0 switch, make sure that you have connected the LNBs to the correct connections on the switch. Check the Signal Strength and the Signal Quality in the Channel List, or the Channel Search Menu. Read more technical instructions for other digitals including videos at Digital and Video Products. You have got comprehensive instructions to help you carry on your satellite TV installation and perhaps you are thinking of a way to say than you for the guidance of the satellite TV installation. To say thank you, use the form below to write about your favorite TV movie, programs, serial, or show. You can also use the g+1 small button at the top of the right column, or other small buttons to share satellite TV installation, or pin one of the pictures, or read the updates of this network at your favorite service. I want to learn more from your TV watching experiences. So, tell me about your best TV series, movies and shows and why you think they are the best. You can write about (just) one, or enter some of them by title and then follow each title by some lines explaining why you favorite them. Enter some words about the picture just next to it. Example: (names of the stars in the picture, name of the movie, or names of the producers, narrators, etc..."
I promise to use it only to send you The TV Cinema App News. We Don't Get Fooled Again Because the SI Lab Brainstorms Us! International People, Share the Love! Like the TV Cinema App? See the gift of love we have got for you, when you complete this page, share it with your social, or favorite it at the g+, at the bottom of this column. You can print the posters to hang on your walls and do more with them. When you get to download it from iTunes, please RATE it first. Take the TVCinemaApp.com with you at your social media services. Use the small buttons you see on this page. The more pages you like, tweet, pin the images on them, the better to get your friends and followers excited. Build your page about your favorites using the form on any page. Then when you get it published, visit the page and share it with your friends and followers to read it. You know how to do that. By the time you read some pages, you will realize that you have learned something new about the cinema. When that happens, please don't just shy away without leaving a trace that you have been here. To do this, use the comments form to comment, or write about your favorite movies, series and shows. Then tweet the pages you read, or pin the pictures. Thank you very much. How I built this site? Thanks to the high sophisticated professional tech who created the most influential tools in one place to build professional websites. Rate and download Rising Phoenix Picture Book 1. Look for the version of picture audio book by the same title, as the Rising of Phoenix Picture-Audio Book. Copyright © I am building TVCinemaApp.com for your pleasure and mine too!